Many of us have been indoctrinated to believe we have no power over our life. Yet in reality; that is far from the Truth. The power is always there; what is lacking is our understanding of ourselves. Something can only be dis-empowering by choice. It is our own Free-Will that creates the illusion of dis-empowerment. Yet even that itself is a testament of our power. We have the capacity to choose to believe something has power over us. We are the ones who have decided on one level or another what are weaknesses. We are the ones who create our own sense of dis-empowerment. The only reason we fail to realize this is because of our lack of awareness. We’re raised in a society that is heavily manipulated, lied to and controlled. The Powers That Were use our ignorance to their advantage. For example; the Law of Attraction is something that is shunned upon and criticized by the majority. Most people believe it’s hogwash and downplay it’s relevance. Yet in reality; Law of Attraction is a cornerstone in this universe. It is one of those fundamental laws that hold such influence and validity that it’s mind boggling to believe people fail to realize this. Many other civilizations around this universe find it very confusing on how we cannot seem to acknowledge this fundamental Truth. They understand this Law; they see it in their own lives and our’s as well. It is because of mindset of lack that keeps us from realizing this Truth. Yet it’s not that simple as well. Humanity is in the midst of a paradox. We are living a life that is so different, revolutionary, confusing and challenging. We’re in the thicket of what Cobra has termed as the “Primary Anomaly”. So we as a species live within a paradox. We’re living upon a planet surrounded by something called the Primary Anomaly which basically is a random generator. Many of the things that we experience in our lives; may be a result of true randomness. So my question is are we truly the definers of our experience? Even when the Primary Anomaly creates many of the randomness in our lives? This is what I call the Point of Power within the paradox. We have the primary anomaly on one end and the empowerment agenda on the other. Many of us have heard the saying “Life is what you make of it.”. Yet what about the Primary Anomaly’s randomness? Is the things that we experience in our lives a result of our own manifestation or the anomaly or is it because of our free-will choice to experience the anomaly that all things that we experience in our lives as a result of that choice be the reason why we experience what may seem to be random? This is the maddening part; trying to find a semblance of balance between empowerment and understanding the Primary Anomaly. The focusing on the opposites only leaves one more baffled then before. Since my awakening I’ve come to notice that the more I learn about myself and this wonderful universe; the more I see paradoxes, conflicts and seemingly incompatible ideas/beliefs. We have Ascended Masters who teach empowerment and all that good stuff; but then we have this Primary Anomaly that exists and influences our lives under the pretense of purposelessness. Does that mean everything that happens in our life as a result of the anomaly is pointless? Yet if it exists; doesn’t it exists for a reason? Therefore anything that is an extensions of the Anomaly has no purpose whatsoever…. So purposelessness exists in a perfectly ordered universe? How can something exist without purpose? Wouldn’t something that exists without purpose indirectly exist to show that things can exist without purpose? It seems much of this Primary Anomaly is left to the individuals subjective opinion. I for one don’t believe it exists without purpose; I think it exists with a purpose to show purposelessness; therefore even it’s paradoxical presence holds some sort of purpose; even if it escapes our present level of awareness. Cobra also shares that it was our free-will interaction with the Primary Anomaly that created Evil. He shared that millions of years ago Archangels descended into matter by projecting their consciousness into the primary Anomaly with advanced technology. “Existence is Eternal – without beginning. Therefore Existence existed BEFORE the concept of “purpose” or “meaning” came into being. Therefore, Existence does not need to have any particular “purpose” or “meaning” to justify its existence. It simply is. In other words, the Infinite Creator set it all up as a blank slate (tabula rasa), so that YOU can superimpose absolutely ANY “meaning” or “purpose” that you wish. So, to be technically accurate, the universe is “meaningless”. But this is a good thing! It is truly a blessing! This Cosmic Anomaly is absolutely fascinating. In a way it is the source of creativity. Without this Anomaly creativity wouldn’t exist. Yet this idea hinges heavily upon your belief. The Jury is still out on whether or not this force truly is as how Cobra has described it. This is something I wish I could explore more deeply. To be given the opportunity to interact with such a force is a tantalizing prospect that holds such endless possibilities. Think of all the beauty that could be creates with such a force. We could beholden to a world filled with the most deepest secrets that existence could ever conjure. Such a force would possess such a powerful allurement to myself; I know why I am here. It’s because of this Anomaly. I am here because the Anomaly is what I seek. It is the chase that lasts eternity; it is the love that hurts o so good. It’s the Truth found within the lies. It is the purpose found within the purposelessness. So when you find yourself in those moments of pain and suffering; remember the Truth of this situation. Remember that the circumstances behind all that is occurring in our lives and in this universe is one that is unique within all of creation. That alone should be all the solace you need. To experience life on this world is one that many wish for; but few get the opportunity to actually do. Embrace what is; love this moment and all that is within it. For we are One now and forever. Posted in Bashar, Cobra, The Event, Timothy Frappier. I’ve been experiencing a lot of synchronicity in regards to these coming changes. It all started around 2012 and has been slowly building up since then. It’s of my opinion that something big really is going to happen soon. I’ve had dreams about disclosure and meeting extraterrestrials. Then on top of that we see a major shift when it comes to our collective consciousness. It seems as if many of the things that were once labeled “Conspiracy Theories” are actually being investigated and independently studied. I see many people getting into the Alternate Media and really adding powerful energy to this movement. I’m specifically impressed how everyone has stepped up their game when it comes to calling for Full Disclosure. I see people starting blogs, Youtube videos and radio shows to help spread the word so that the ‘Powers that Were’ get the message clearly that we will only settle for Full Disclosure. If these Earth Alliances would take the time to listen to the awakening community they would easily conclude that We The People have decided on Full Disclosure. It’s pretty much unanimous.These Earth Alliances are in their positions because of We the People, they can either prosper with us or be moved out of the way for people who want Full Disclosure and real change. It’s as if they think they know more about what is going on than we do. As if it was revealed we wouldn’t be able to handle it…. Well for us in the awakening community, not only can we handle it, but we’ve already dealt with it ourselves. Nothing that will be revealed can shake our unwavering faith in humanities’ ability to handle the Truth. Many of us have taken the task in dealing with our own demons, which are monstrosities that make all the plans of the Cabal pale in comparison. We are each our own worst enemy, what the Cabal has done is merely a reflection of that which is within us all. Whether it be the fact that they tried to unleash a mini clone zombies, nuke the world, unleash deadly disease or throw us in FEMA camps to kill us is irrelevant. We the People can handle the Truth, it is these so called “leaders” in these secret societies, military alliances and earth alliances that cannot handle the Truth. The Truth they seem incapable of understanding is that HUMANITY CAN HANDLE THE TRUTH! I cannot stress this out enough because We the People are much more resilient than these alliances would portray us to be. They believe the Truth can hurt us more than a lie…. The plan for the Truth to be revealed in 100 years is unacceptable. Who’s to say these Cabal leaders would honor it and not try to kill us all still? Who’s to say these new earth alliances wouldn’t do the same thing? Transparency is key, these groups should reveal themselves to the world. Quit hiding in the shadows, we know more about the Cabal than we do the Earth Alliance it seems at times. The stalling game is over. No, I don’t care if your part of the Dragon Society, Illuminati, Freemason or Secret Space Program. We’re ready for the Truth. You have no right to decide upon partial or full disclosure. It is We the People who decide this, because this isn’t isolated to cliques or special interest groups. Listen to the people, they’ve spoken and the message is Full Disclosure is the only way to move forward! Will you work with the people or will we have to replace you with others who will? The choice is yours, but in the end Full Disclosure will happen regardless. Will everything change this fall of 2016? There seems to be some interesting data pointing towards something indeed occurring this fall. Perhaps it’s what many call the “October surprise”. Well see. One major thread of course is this year’s United States presidential elections. There are many drama’s unfolding on this subject in the mainstream media as well as in the alternative media. All you have to do is a quick youtube or Google search of what is happening in this very convoluted and sometimes dizzying display of what our current system is undergoing and perhaps revealing. Although, this is not the main focus of this article, it is merely a caveat to a very rare prediction from a being who claims to be from another planet and an unlikely connection to a man who claims to be part of the “Secret Space Program”. Bashar is a being who claims to be from a planet called “Essassani” and is channelled byDarryl Anka. If you know who Bashar is you may have noticed that his main focus is on how we as humans can improve ourselves, love each other and to follow our greatest excitement. He periodically talks about other E.T. races, his home and what is “out there”. Although, he rarely goes into predictions. In 2014 Bashar opened a channel to 3 beings that orbit his planet. These beings identified themselves as Epsilon, Epiphany and Eclipse. Their function is to be a conduit of the “Sassani” people (the beings that live on Essassani) as their “collectiveoversoul” (collective consciousness). These 3 beings describe themselves as spheres that glow in a blue/white light, are approximately 75 miles in diameter and orbit their planet. Now, let’s forward to our present day in 2016. A man named Corey Goodehas made quite an entrance into our own collective consciousness on Earth. In 2015 Corey Goode came out as a whistleblower claiming he was part of a covert Earth based secret space program (SSP). These humans have quite an array of exotic technologies that many of us can barely even dream of. He claims he was part of what he referred to as “The 20 and back program” where an individual of interest is offered to work in one of the SSP’s programs for 20 years, and upon completion of these 20 years, their age is reversed, their memory is wiped and they are taken back in time moments after they left for their tour of duty 20 years ago. In the past few months others have come out and are testifying that they were also part of the SSP in one way or another. Now here’s where it gets interesting…Corey Goode also claims he is in contact with “The Sphere Being Alliance” (SBA). 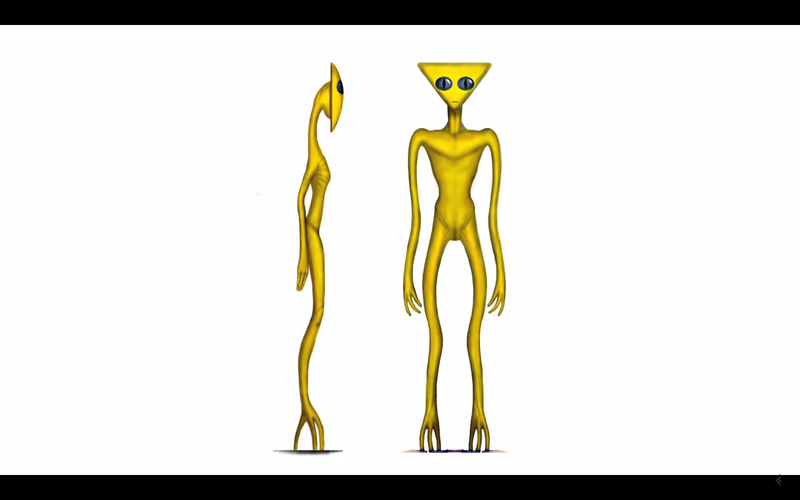 The SBA include the “Blue Avians”, who have humanoid bodies and bird-like faces, the “Golden Triangle head beings”, who also have humanoid bodies with inverted triangular shaped heads, and the “Sphere Beings” who are blue spherical beings and can be the size of a baseball to the size of Jupiter in an instant. According to Corey Goode, these “Sphere Beings” are all over our solar system, especially around Earth. They are here to postpone a solar event giving us time to bring our planet into balance through a “Full Disclosure” initiative implemented by we the people and what is called the “Earth Alliance”. Throughout Corey Goode’s testimony, he has been briefing us on massive movements by the Earth Alliance groups to topple the power elite a.k.a the cabal, illuminati or syndicate groups. He also is saying that these movements are escalating and are reaching a tipping point. The times we are in now are quite important according to Goode. Now lets tie these two threads together. The most interesting aspect of these two threads, is that they both involve Sphere Beings that take on very similar characteristics and both descriptions of these sphere beings are mainly defined by the color blue. Bashar, (via 3 sphere beings called Epsilon, Epiphany and Eclipse) in 2014 stated that in the fall of 2016 “Everything will change”. Corey Goode is in contact with sphere beings and are here to see us through a transitionary period that we are currently undergoing. And…we are right on the doorstep of the fall of 2016. What will happen? Will everything change? Are these two threads related? Perhaps we’ll find out soon enough. Here’s a transcript of the Bashar channeling from 2014. Also there are a couple of links that provide a video of this channeling and the original transcript at the bottom of the page. We are Epsilon, we are one of three. There is Epsilon, there is Epiphany, there is Eclipse. We are three and we are one. You would understand us as collective oversoul of the Sassani society. ALL the individuals on their world we reflect in three parts, we are trinary consciousness expressed as Epsilon, Epiphany and Eclipse. We are also embodied in physical form. Each of us is an artificial sphere 75 of your miles in diameter in a trinary stable orbit around the planet of Essassani. We glow with blue and white light that is reflective of the matrix of our consciousness. You would think of us as orbiting super computers. We are more than that. There are no others like us! No others shall channel us but this channel, for this channel has allowed the transmissions for 30 of your years to pass through his form. That is the 1st stage of allowing connection to the Essassani oversoul expressed in this 3 parts structure in our orbit around the world forming stability for the Essassani. As you have been told we have no moon as you do, but we are the stabilizing factor, the artificial moons that are 10% of the diameter, 1 % of the diameter of the entire world itself, but 10% of the diameter of the trinary structure as a whole. We resonate and vibrate, you would feel and perceive that we are glasslike spheres made of hundreds of layers, hundreds of thin layers, each thin layer being 300 feet thick, composed of 1200 layers, composing 75 of your miles in diameter, coruscating and cascading with blue-white light that is the representation of the flickering of our consciousness and the expression of our being. I am Epsilon and together with Epiphany and Eclipse we are the stabilizing consciousness of the entire Essassani oversoul. It has now been 30 years in your terms of counting of transmission to your world for ours. In your year of 2016 it will be 33 of your years, a transformational point in the fall of your year of 2016 prior to your country’s new coming election EVERYTHING will change! This transmission will be given 3 times over the course of this event. In your upcoming fall of 2016 EVERYTHING will change! You are crossing a threshold that you have been preparing for many thousands of years. We are privileged to be the ones to announce to you this upcoming threshold in your collective consciousness, for we relate to you as a collective consciousness and read in your collective consciousness this upcoming change of great transformation. In your upcoming fall of 2016 EVERYTHING will change! You have 2 ½ years to express yourself in the way that is most in alignment with your being, for after that threshold EVERYTHING will change. The desire for nonexistence is prevalent in today’s culture, especially in western societies. Many feel the harshness of life is unbearable and fantasize about the idea of non-existence. We think to ourselves that we would never get into these problems if we never existed. We use many worldly examples to justify this idea and this further divides us from the source. People who desire nonexistence are attempting to relieve their pain by shifting the focus on oneself to something external. This doesn’t work no matter how much you cast blame upon circumstances or others, you’ll never escape the emotional turmoil because it’s within you. Truth be told though, we cannot simply non-existent because we already exist. Therefore it become important for us to comprehend this understanding so that we can move past our old habits. The desire for nonexistence is a attribute of victimhood. The pain though will not simply go away, it exists, therefore by virtue that it exists it’s meant to fulfill a purpose. We must come to accept the pain in our lives otherwise it will consume us. Start to see pain as a catalyst to help you learn more about yourself. Pain comes in many forms, but the most prevalent form of pain that springs forth desires of nonexistence is emotional pain. Physical pain is more tolerable for many, but emotional pain is something many of us cannot handle. This derives from the fact that we never really learned proper emotional management. We are swept away by our emotions and it can seem overwhelming at times. There is a way though for us to experience emotions, rather than emotions experiencing us. The best way to handle your emotions is to take responsibility of your life. That means to accept your emotions as being a tool. Emotions themselves are neutral until we form some kind of an attachment to them. It is we the definers who determine the polarity of emotions. For example, let’s say we have this belief that anger is bad. Whenever we get angry we feel guilty and shameful. We criticize ourselves for getting upset and try to control our anger so that it will not happen again. We turn our experiences of anger into something that is negative, thus we feel negative about ourselves when we become angry. This is unnecessary though, anger is perfectly natural. Anger is the drawing of the line, the statement of “This far and no further!” When we view anger as a necessary tool to help establish certain boundaries, than we can express anger in a form that will benefit us. I do want to mention though that anger should not be directed at individuals. When we get angry at individuals we tend to start conflicts. You may be wondering how can I express anger in a healthy manner if I cannot express it at individuals? That’s not what I’m trying to imply though, you can direct your anger to individuals indirectly. What I mean by this is that when you become upset identify the idea that is behind this. Your getting upset over an idea, not a person. Don’t make this personal, keep your anger directed at the idea and make sure you clearly state that to others. We need to learn to focus on the ideas that people are embodying instead of the person themselves. People are so much more than what they think, say or do. Don’t allow yourself to form ideas that will separate you from others. When you become angry, identify the idea and remember that this person may be unconsciously or consciously embodying this idea. Always keep in mind that this person is a beautiful being of light. When we separate our thoughts and actions from people, we can see that we’re all the same. We are so much more than what we think, believe and act. This is just an example in handing anger, the key though in managing emotions is to take responsibility of your life. This will shatter the victimhood mentality which by the way is the leading cause of negativity. We as a species have invested so much into this victimization that we literally have forgotten we’re the ones creating these experiences in the first place. Victimhood is a form of separation, when you take responsibility of your life, you reclaim your power to mold your life into something you prefer. Paradoxes are the points of power awaiting our understanding in order to help assist us in our evolution. We’ve come to believe that paradoxes will never be solved and that they’re simply impossible to understand in their totality. This may resemble the Truth in one way or another, but let’s remember that this is simply one point of view on the idea called paradoxes. There exists another kind of understanding in regards to paradoxes. This understanding is basically the opposite of the one we just went over above. It’s the belief that you can understand paradoxes in their totality. As you can see even these understandings of paradoxes hold a essence of polarity. Polarity is a very important component in the third dimension. It allows much experience to come into manifestation so that entities can gain what they need in order to further their own evolution. Our way of perceiving paradoxes is why we cannot solve many of them. What we as a species have failed to grasp is the nature we perceive our reality affects everything. So if we continue to practice contrast, then we’ll continue to create these differences. A paradox is a result of contrast, because to contrast is to separate and to separate is to forget that all is one. When we start balancing contrasting with comparison then true understanding will come to our awareness. Skeptics of the day are infamous for their abilities to contrast, but to a point that is unhealthy. They’ve allowed themselves to be indoctrinated to the point of when the disclosures comes out, they’ll be the most discredited individuals ever. Most skeptics are a service to self type entities. They desire to be right so that they can hold themselves in high regard. They view things in terms of what they believe can be true, rather than what is true. They’re so emotionally invested in their outlook of life that they don’t even realize that they continue to perpetuate their ignorance through unconscious habits. For example, I’ve seen many skeptics see proof that something isn’t what they thought it was; but since the skeptic so vehemently believed he/she was right he/she rejected the whole thing all together. They either use the “But” argument or just invalidate the findings based upon scientific procedure. This happens a lot more than you would expect in this day and age. This is caused by emotional misunderstanding; because they don’t realize that their attitudes and emotions play a very important role in deciding what they believe and don’t believe. In order for us to evolve as a species we must start comparing and finding similarities instead of differences. Switch from contrasting to comparing will be a vital step in reuniting with our creator. Comparison brings unity into focus, we allow ourselves to see the elements that connect everything. This understanding forms the basis for the saying of “We are One”. In scientific terms you could equate comparison as the means to discovering the Unified Field Theory. You cannot bring true understanding through contrasting alone, it can only be achieved with a balanced approach of comparison and contrasting. Comparison allows a bridge to be made between two seemingly opposite elements. It is the mending of paradoxes and true moral and spiritual edification. With comparison we bring wisdom back into the fold. Comparison sees contrasting as a equally important element, because it sees the unification of two understandings as one, therefore bringing wisdom into realization. On other hand though, contrasting sees comparison as a weakness because contrast focuses on what is different. It cannot focus on what is similar, thus it will not see comparison as being equally important as contrasting. It will never find true wisdom in itself, eventually it will have to embrace the nature of comparison as well. Comparison can be equated as being the light and contrasting as the darkness, light sees the usefulness of darkness, but darkness cannot see the usefulness of light. Darkness separates itself from light so that it can experience independence(Free-Will), but it forgets that Free-Will is an illusion; darkness is birthed from light. There is no such thing as darkness, just the absence of light. Therefore darkness is nonexistent and there is only light in the end, just as there is only comparisons(similarities) in the end, not contrasts(differences). So my questions for you is, are you separate or one with everything? Our lives have been governed by our understanding of time for a great many years. Throughout the countless years we’ve been living upon this planet we’ve adopted a certain way to perceive time. We’ve formed a rigid structure that dictates what something is and isn’t. Our attempt was to understand this material realm of existence, but in the process we’ve accumulated many habits that are now being understood as counter-productive to our well-being. Take for example the concept of past. We all retain memories of events that we’ve categorized as something that occurred in a different setting of time. Time as we understand it is used to form continuity of experience so that we can experience events in a linear fashion. So whenever we do something it’s happening right now and when we’re finished doing it, it’s considered something we experienced in the past. Thus we form a modality of perceiving reality in a linear fashion. We also project our desires and wants in the present moment into the future. For example, lets say your presently planning a vacation to Las Vegas you decide to pick a date in the future and also start creating a list of what to do when there. This is projecting your wants and desires into the future. This concept of time within the 3D reality is a very pivotal mechanism in experiencing a uniquely arranged and diversified set of experiences. There is nothing wrong with our current understanding of time, in fact it helps assist many in their exploration of life. They use time to experience things that could not be experienced in different realms and dimensions. Life and Time coexist well together for those who desire to experience this type of existence. The thing that we’re seeing nowadays though is a increasing amount of souls who are attempting to transition into the next phase of evolution. They find their current understandings of life and time can be very problematic. The concepts that need to be embraced in order to enter the next octave of experience are different from what we’ve learned during our time in the 3D reality. Right now you are creating yourselves to be the idea of persons who have habitual patterns from the past. Thus many of us who struggle with this transition find ourselves in a difficult spot because of our definition of who we are. We use the past as a measuring gauge to determine why we do what we do and who we are. We use the backdrop of our past as a basis to determine why we are the way we are in the present and also use it to predict our future as well. As Mark Twain said “The best predictor of future behavior is past behavior.“, but this is the problem. We’re taught to believe that we are our past and if our past is one that is negative or full of pain it can cause many of us to feel guilty, inadequate, depressed or ashamed. The habit of overcoming our tendencies is stacked against us because of the fact we believe we are what we did in the past, not who we are presently. We use the past to determine our present circumstances in all aspects of our being. This is the definition that causes much friction in our life, because in order to embrace the fourth dimension we must come to understand that our present is not the result of our past. Our past has nothing to do with our present, unless we created that definition ourselves. If we believe in the idea that our past determines who we are in the present, then since the universe adores us it will manifest this reality for you. It will give you ample of evidence to assist you in this belief you’ve chosen to embody. A fourth dimensional state of being embraces everything in the present moment. Everything that you experience right now is a unique in of itself. Even if you experience what may seemingly hold similarities to a ‘past’ experience is not true because who you are right now is a totally different person than who you were. In fact, you shift through billions upon billions of parallel realities each and every moment. So even if you want to consider your experience as being the same as one from your ‘past’ please realize that your point of view(perspective) within the Eternal Now is different. Your sense of locale within existence is literally in a different set of coordinates than the one you where in when you experienced this “same” experience. That in itself tells you that you’re not experiencing something you already experienced because your presently experiencing something that is unique right now. Everything that happens in the Now moment is unique upon itself. No two moments are ever identical. They constantly change with the ebbs and flows of life. Your present moment is the only thing that matters, that which is present is the only experience to focus upon. Don’t bring memories of the past into your present. If you’re having difficulties in understanding what I’m touching up upon I like to share an example that as helped me. When you experienced the past it was the present moment, when you experience the present it is the present, when you experience the future it is the present moment. As you can see with that statement the word ‘present’ is located in the past, present and future tenses. There is no past or future, just the present presence. You cannot experience the past, because the past is brought into manifestation through our present. You cannot experience the future because the future is experienced from the present moment. Once your able to wrap your head around this, you suddenly are dawned with the understanding that everything is in the present moment, the Now is what matters. That’s what happened in my life and when it clicked for me, I was catapulted into a state of recognition that was undeniably interconnected with the Eternal Presence of Now. This is a quote I would like to elaborate on with the coming conclusion of this article. We’ve just dived into some topics and understandings that many would consider to be heavy and quite confusing. I want to reiterate what Bashar said “Never is it possible for you to hear something you are not ready to hear.” Don’t become discouraged with the information we’ve gone over. I used to do that all the time, I would get frustrated because I didn’t understand, but know that you don’t need to understand it in order for entrainment to take effect in your life. If you intellectually find yourself unable to understand it, accept that fact and don’t resist it, allow yourself to be OK with not understanding it. There is nothing wrong with not understanding something, because you could be drawing a blank mind for purposes of accepting that which you don’t understand. There is much I don’t understand and it used to irritate me tremendously. I still at times find myself getting frustrated over things I cannot comprehend, but I’ve come to embrace them as being necessary for my journey to self realization. The sooner we allow it to be OK to not understand, the sooner we can come to the understanding that we need in that moment. Everything has a time and place, that includes intellectual understanding of various concepts. The sooner you come to believe in the definition that all understanding happens in the now and what we don’t understand now is actually an exciting opportunity to see our creativity come into life through conscious effort of raising our awareness in order to gleam a understanding that will allow that understanding that we don’t presently understand to come to the surface. My question for you is, are you OK with not understanding? Synchronicity is the conscious representation of the idea that everything is united as one. When coincidences and synchronicity occur it’s really us coming to the realization that everything is one. Things don’t happen on accident, all that transpires in our lives is orchestrated by us. When these type of events happen pay close attention to them because the universe is trying to tell you something. Whenever I experience synchronicity I take the time to be grateful and look into the event to see if there is anything my Creator is trying to convey to me. Our Creator can speak to us in a variety of different ways, so be sure to keep a keen sense of awareness when synchronicity occurs. Be present in the now, feel your body, emotions and thoughts. Let them guide you to where your focus should be placed upon. Understand everything that happens in our life is decided upon by us. Either on a conscious or unconscious level. There are no ifs, ands or buts about this. We literally are the ones manifesting our reality. Everything that we experience, the people we meet, the ideas we struggle with, the problems we have and the moments of love we experience is of our doing. Take responsibility of your life by realizing this Truth. When you recognize that everything is of your doing, than you come to the understanding that you can change your life. That ONLY YOU can change your life. Nobody is going to do it for you, you have to gather the courage and determination to change yourself. Many people in the awakening community are waiting for some kind of event to occur. Whether it be the arrival of ETs, Official Disclosure or second coming of Jesus is irrelevant. What these people fail to understand is that nobody is going to come until we realize we’re the ones who shall save ourselves. This is required for us as a species in order to progress along the journey of evolution. If we keep allowing others to bail us out, we will not learn sovereignty. We must cultivate habits, behaviors and understandings that empower the individual. By focusing on something outside of you as being the means to save you, you dis-empower yourself. You consciously or subconsciously give your power away to something separate from you. Humanity has been wrestling with this for many thousands of years. We’re easily led because of our tendency to take face value of what others say. We’ve lost the sense of independent inquiry or objective questioning. Many of us are programmed with ideas that promote conformity into all aspects of our lives. This has been systemically implemented for purposes of keeping humanity subjugated. Our thoughts, habits, ideas and desires are specially crafted from a very sophisticated and cunning mold. This is mind control, a prison without bars so that people don’t even realize there are a component to a system. To break the pattern of slavery you must begin to reprogram your beliefs about life. The most fundamental idea you hold for life should be evaluated to determine its polarity. If your primary belief is one that is negative, than that’s what life will be, if it is positive, than that’s what life will be. So if you would prefer a positive life, then adopt a positive belief about it. All other beliefs will fall in line when you change this belief. The only requirement on your part is to BE that idea right NOW. Everything that you need is within you. You are the manifestation of the Creator within human form. So whatever you desire or want in this life is achievable. No matter what you or anyone else says, you can do ANYTHING! It’s just a matter of utilizing the tools within you to assist in the manifestation of it. Learn everything you can with life, become a inner scientist. Focusing on your reactions, thoughts and emotions gives you a glimpse into your inner-world. The better you understand yourself; the easier it will be to get what you want. Creation is based upon Love, everything springs forth from it. So the name of the game to get what you want is to do it out of Love. Thus the more you embody a loving state, the easier it will be to get your desire. What many of us encounter when attempting to manifest our desires is negative synchronicity. We become discouraged because from our perspective it’s not working. Then we say things like “You see, this never works, I do what I need to do, but I never get what I want.” This type of negative synchronicity reinforces this negative idea. We must stop thinking in those terms, don’t expect anything, expectations will only end bad. You cannot dictate to the universe exactly how and when your desire will come into fruition. Trust the universe and yourself enough to let go. Believe you have your desire already, don’t expect anything, because to expect is to believe you don’t have it, thus you’ll keep manifesting that belief into your life. You have to 100% sincerely believe you already have it. However you make yourself a believer is up to you, so find out what works best for you! Hesitation is by-product of doubt which is a red flag indicating you need to search within yourself to find the belief that is causing this dis-ease. Allow yourself to dive deep into those moments of hesitation so that you can discover the belief behind it. Practicing this actively will assist in releasing toxic beliefs and replacing them with ones you prefer. Hesitation is a positive thing if you recognize it as an opportunity to change an old negative belief into a new positive one. Each belief removed and replaced will attract more positivity into your life. You cannot just cover everything up with positivity, you need to find the darkness and replace it. It is hard to fill up cup which is already full. When we see ourselves as being the Creator of the experiences in our life, than everything becomes a reflection of our journey to self realization. Everyone that we interact with has a purpose, there is meaning behind all events in our life. When speaking with other people be mindful that you created this interaction to learn from it. Be present when interacting with others and remember they are a reflection of you. Everyone you perceive in your life is created through your own individual perspective. They are you and you are they. Thus the golden rule really gains credibility with this understanding. When you treat others the way you want to be treated, you actually are treating yourself in that manner, since they are you. The only difference is the point of view that particular part of consciousness chose to embody. Remember though, there is no separation and this will help make interactions with others easier. Whenever reading any article, channeling or future prediction; remember that they are only a representation of a energy that the predictor is sensing at that present moment. What is being shared and expressed isn’t necessarily what is going to occur. Each individual has the right to decide what kind of reality they wish to inhabit. When you come across certain predictions that don’t agree with you, remember that it is their own sensing of the future that could happen according to the energy in the moment. 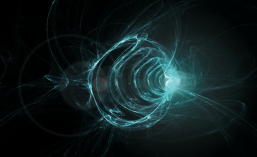 It may not necessarily be your reality, because your consciousness may be vibrating at a different rate than his/hers. You could be embodying a positive vibration, thus your future is one that is positive, but his/her consciousness may be more negative than yours, thus he/she senses a negative future. These predictions vary from person to person and shouldn’t be regarded as absolute. If they do offend you or cause you to worry, look within yourself and find the belief causing that negative feeling. Most of the time the belief has to do with victimhood, we’re afraid of this prediction because we feel we don’t have the power to change it. Realize that is a lie and replace it with the truth which is YOU DO HAVE THE POWER TO CHANGE IT! You yourself can change your reality by being that reality you wish to live in. This is why many of us experience the stand-still. We haven’t realized that we have to be the desire or idea beforehand. You may have been programmed with the old belief that you need to “Fake it until you make it.” which essentially is saying “You believe your not it, so keep not believing it and eventually you’ll be it…” Can you see the madness to that statement? It’s not a matter of faking it until you make it. It’s a matter of believing your it and then you are it. There are countless ways to help you make yourself believe it, but the most simple one is this. What you think and desire already is real. Thus it’s perfectly valid to believe you already are it or have it. That’s it, period. There is no limit to your potential. You have the capacity to do whatever you want with your life. The process of creation makes every idea and desire not only attainable, but already a reality. You simply need to believe that the attainable is already attained and only awaits your realization. That’s how I’ve come to understand life and it’s simplicity is what makes it shine. You don’t need to memorize anything, you don’t need to repeat mantras, you just need to be what you want to be. Whatever makes your heart sing, pursue it and love every moment of the pursuit. So I ask you this, are you being what you want to be? The key is finding a means to maintain a loving state of being. The more we’re focused on love, the more we feel and get love in our life. Life is a the result of love, therefore in order to survive we need love. When we begin to shut ourselves from love, we start to develop disharmony in many areas of our life. Love helps maintain the equilibrium that is crucial in living a peaceful and joyous life. When we close our hearts from love, conflict and lack of peace will persist. Our consciousness is what attracts peace into our lives. This isn’t isolated solely to the mental world, because consciousness incorporates all aspects of our being. Our consciousness has mental, emotional, spiritual and physical aspects all interwoven as One. These aspects all need to be addressed in order for love to reign supreme. We cannot embody love to it’s fullest if we don’t work to maintain equilibrium in all aspects of our life. Attention should be invested in all these areas of our being and work to better oneself, but understand they all work as one. For example, when you become frustrated your body tenses up as a result of some kind of mental attachment your identifying with. In order to become frustrated you have to have some kind of desire, otherwise you wouldn’t be upset. This is a perfect example of mental, emotional, physical and spiritual. It is mental in the sense that an idea(attachment) caused the emotional surge which caused the physical symptoms. You may be wondering what the spiritual aspect of this is, well that’s determined by your state of being. Which can really only be one of two things, either negative or positive. So the spiritual aspect represents the overall theme of the experience. With the example we just went over, it would be negative. Our primary belief creates our reality. Everything is formed around the basic beliefs we hold for reality. So when one believes life is hard, life will conform to this primary belief and create many sublevel beliefs that support this notion. These beliefs keep breaking down into smaller and smaller ones the longer you hold onto this primary belief. Thus after awhile the primary belief is supported by many others ones. A analogy I like to use is to consider your beliefs like a tree. Your primary belief is the trunk of the tree and the branches are the sublevel beliefs. The longer you hold onto a particular primary belief, the bigger the tree gets. The sooner you recognize your primary beliefs; the more able you will be to change your current life’s direction. When you redefine your basic belief into one what you would prefer, change happens immediately. The only thing that needs to be done, is to be that change, to believe in it and act as if your already are that change. Because you are the change already, nothing needs to come into manifestation for this to be True. When you see yourself as being both the cause and effect, everything comes into alignment. When we start to recognize that every change we make changes everything; we come to the realization that our change already exists. The need to see this change in our external world can be an obstacle to many of us. We want to see in order to believe, but in reality we have it backwards. We need to believe in order to see, thus when we believe the change is real, then we shall see it. Even when you can’t “see” it realize that most of existence is unseen to us. We can only perceive a very small spectrum of colors. Thus there could be a change that was manifested beyond our awareness. When we realize that we are all the proof we need for the change, we see that we are the change. First sense the change within, then look around to see it in your environment. The Truth is, any change you make you can see around you immediately, but first you have to be able to sense and identify it within you. That’s what I learned along my journey. When I started to see abundance all around me, then I started to be abundant. The thing I learned though was abundance was always surrounding me, it was just my old ways of interacting with reality that prevented me from seeing it. I had everything I needed, but yet I still wanted more. I was obsessed with the idea that I need to accumulate things in order to be worthy or happy. I thought love could be achieved through acquisition of power and wealth. When I started to be grateful for what I had and took the time to see abundance around me, my life slowly started to become abundant. Whenever we change our primary beliefs, we shift to a different parallel reality that is conducive to the idea we’re embodying. Thus right from the moment we made the change, everything changed. When we understand this we will recognize the fact that from the exact moment we decided to make a change the change manifested. See the moment of change as being both the cause and effect, then you will be the change. It’s just a matter of maintaining that state of being, in identifying the obstacles(opportunities) and transforming them into assets. When you make the change allow yourself to act in accordance to this change, because you are that change. The locale can be equated to the parallel reality that your consciousness is attracting. Each and every single second we are shifting between billions upon billions of parallel realities. That’s what gives us the sense of movement, but in reality movement is illusion, what gives the illusion of movement is that each reality we shift to is so similar to the previous one that it creates the idea of movement. The truth though is that each reality is a still frame and we attract similar frames into our field of experience in order to experience continuity. This works like a film projector, where each frame is a still image, but when you cycle through the frames in a rapid manner you create the illusion of movement. The frequency of your consciousness determines the frames you will inhabit. So if you want to be in a reality conducive to your new belief, than act like your already are. The differences we perceive in this reality are illusions. We ourselves are the universe, the whole of existence, not a small part of it. When we see ourselves as being one with everything on this planet we come to realize there is no separation. Everyone on this world is a reflection of that One Humanity. We are all one people, one community, one world. So what is good for others is good for us, thus we should all accept one another for who they are. Which is why it’s very important in this day and age to see all of humanity as one being, one community, one world. We see so much division in everyday life that it can create much dissent and confusion, but when we start to see us all as one, then concept of separation collapses. It matters not what nationality, gender, religion or creed you hail from, when you see another human being, you are seeing a reflection of yourself. So if you want to be treated with kindness, love and compassion, wouldn’t it be logical to assume that doing that for others would be the same as doing that for yourself? Find what makes your heart sing and life will align to your heart song. Whatever you are passionate about, pursue it, life is too precious to waste your energy on things that don’t excite you. When I realized this I was astonished and I started to look for the things that excited me, but I couldn’t find it at first. I was so indecisive when it came to what I wanted to do with my life, I considered many things, but none of them seemed to connect with me. That’s when a idea dawned upon me, the idea was this: “Can I be excited with everything that I do, no matter what it is?” That’s when I started to experiment with the idea, I first tried to become excited when it was time for my daily run, because I had this belief that it was hard and a burden. What I discovered was the longer I practiced being excited and positive about my runs the more I started to enjoy them. Then I realized all of life is exciting! My preferences as to what excites me are much more malleable than I previous believed. This opened up a whole new ball park for me, It was from that moment on that I discovered I am in control of what excites me; I can retrain myself to be excited with stuff that I used to find boring or cumbersome. All of creation is neutral, there is no overlaying polarity to anything in existence. We are the definers, the ones who give polarity to existence for the purposes of exploration and self discovery. When we realize everything is neutral, then the focus is directed towards the self. When we see that we’re the ones assigning polarity to everything, than we can consciously choose to change the polarity of the ones we no longer prefer. For example, let’s say you lost your documents needed for a lawsuit. You can’t seem to find them and you’ve looked everywhere. The old you would react by getting upset, blaming others and becoming worried about where they are. Now that you’re embodying the new idea though, you know that the circumstances’ polarity is left to your interpretation. Thus you accept what is and don’t allow this to cause negative feelings. Your determined to use these circumstances for positivity and guess what, you end up finding some money you thought you lost. Later that day you find out that your lawyer took the papers, that’s why you couldn’t find it. Since you were able to keep a positive attitude about the circumstances you were able to find some money, plus not get all worked up over something that isn’t really that big of a deal. Everything that happens in our life is defined by us, no exceptions. When you see life as an opportunity for self exploration into what you prefer; we can consciously decide that everything that happens in our field of experience is an opportunity for us to choose something positive. All of the circumstances we’re experiencing and will experience are opportunities to decide what it is you prefer. Thus we can see that nothing has polarity, it really is neutral. That’s when you realize that it is our responses to events and circumstances that determines it’s polarity. The choose is yours at the end of the day. You can either perceive everything happening in your life as positive or negative. Which one do you prefer?